Reginald Leopold was born on 20th May 1907. At the age of 11 he won a scholarship to the Trinity College of Music, London, where he studied the violin, His first professional work was at the Trocadero Restaurant, London; he later played with Carroll Gibbons and the Savoy Hotel Orpheans, Hugo Rignold, George Melachrino and Eugene Pini. He made his first broadcast from Savoy Hill in 1927 with Jack Payne. In the early thirties he was lead violinist for Fred Hartley and his Quintet, a group which also utilised the talents of another famous violinist, Sidney Sax, who, when Hartley emigrated to Australia in the fifties, took over the group, renaming it The Harlequins, a contraction of Hartley Quintet! In 1932, Reginald Leopold formed his own orchestra at the Dorchester Hotel and it was here that he met his wife, Jeanne. In the forties, he joined the London Studio Players. This was a BBC house orchestra which, in addition to broadcasting in its own right, combined to form ensembles of different sizes, amongst which were Edward Rubach and the Novelairs, The Casino Orchestra (Reginald Kilbey), The Tunesmiths (Sidney Bright), Melody on Strings (Max Jaffa), The Grinzing Players (Charlie Katz) and Reginald Leopold and his Players. The latter combination was highly acclaimed by the BBC as one of the best small orchestras on the air. Like Fred Hartley, Reg Leopold had a reputation for meticulous rehearsals and has been described as a strict disciplinarian by those who worked for him, although my own impression of him (having attended several of his broadcasts) was that he was a gentle and benign man, but I only saw him during the later years of his career! When not directing his own players, Reg Leopold could be found leading the London Theatre Orchestra and the London Light Concert Orchestra, both of which were based on the London Studio Players, which he led in a delightful series called 'Strings By Starlight'. This series was so successful that it spawned several long-playing records, the conductor being the well-known cellist, Reginald Kilbey. In the mid-forties, Leopold started two orchestras from within the London Studio Players, namely The Majestic Orchestra and the Southern Serenade Orchestra, but when he temporarily left the 'Unit' (as the London Studio Players were known) these orchestras were handed over to Lou Whiteson, who continued to direct them for many years. Reginald Leopold will always be remembered for his 17-year association with 'Grand Hotel', directing the Palm Court Orchestra (another Unit combination) and even announcing the items. He followed a series of illustrious predecessors which included Albert Sandler, Tom Jenkins, Jean Pougnet and Max Jaffa. 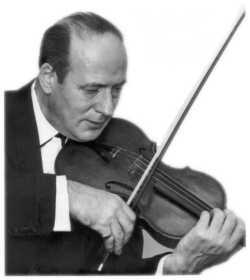 Pain in his left hand forced Reginald Leopold to give up playing the violin, which he finally sold. Fortunately, his wealth of conducting experience enabled him to form an orchestra consisting of strings, with piano (Robert Docker), celeste (Dennis Gomm) and accordion (Henry Krein). The instrumentation was suggested by the BBC and produced a most attractive sound; however, Reg Leopold always thought it was a 'silly instrumentation'. Silly or not, it kept him on the radio many years longer than most of his contemporaries. The orchestra, which. was led by George French, or sometimes Tessa Robbins, was the only light orchestra broadcasting regularly by the mid-eighties, the BBC Regional Light Orchestras having all been axed. Most of the orchestra's music was especially arranged by Robert Docker. The orchestra was long associated with the Sunday morning programme 'Melodies For You' and 'Among Your Souvenirs'. During the season of BBC Light Music Festivals, this latter programme was sometimes recorded in the foyer of the Royal Festival Hall in the presence of an audience, as were editions of 'Grand Hotel'. In 1983, Reg Leopold contributed two editions to the revived series of 'Music While You Work', the recordings of which I had the pleasure of attending. He even put in 'Ragamuffin' by Rixner as an unprogrammed request for me, having arranged for the first violins to be missing their parts for the scheduled piece  a very kind gesture on his part! At the end of 1985, without any explanation, Reginald Leopold was dropped from 'Melodies For You'. At this point Reg said he thought that he ought to take the hint and retire, Early in 1986, however, he was asked to play for Charlie Chester's Sunday afternoon show, but he was distinctly worried: 'They want me to do sixteen weeks  no selections  just short light pieces. Obviously we can't play pieces like 'Valse Triste' for 'Cheerful' Charlie Chester! I don't think the repertoire can stand it!' To his relief, the series turned out to be only of four weeks' duration and the final item 'Scrub, Brothers, Scrub' brought Reginald Leopold's broadcasting career to a conclusion. He told the BBC that at the age of 79 he didn't want any more broadcasts and wished now to take life easy in his home town of Brighton. Rather touchingly, the BBC paid tribute to him on his 80th birthday with a programme of his favourite pieces, played by his orchestra, under the direction of Barry Wordsworth. The show was personally presented by Reginald Leopold  a fitting conclusion to a distinguished career. He died on 26th February 2003, aged 95.